Spotify – Free 60 day trial! You are at:Home»DEALS»Spotify – Free 60 day trial! Streaming music is becoming mainstream as purchases of physical CDs and digital albums have declined. In fact, music streaming has increased by 54 percent in 2014 compared to the year prior, while album purchases have declined by more than 10 percent. 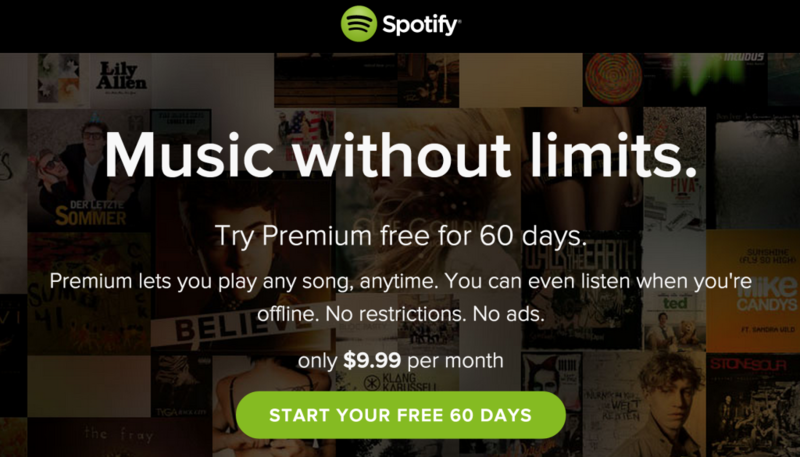 When it comes to streaming music – you have many options, but only one will give you a 60-day trial for a limited time – that’s Spotify! For new members only! Click on this link to get your 60-day free trial! Make sure you cancel within 60 days – if you don’t want to pay $9.99/month! Once you’re ready to cancel – click here!